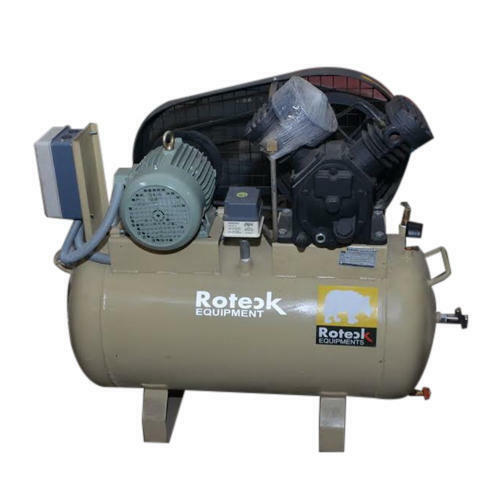 Established in the year 1999, our organization, Roteck Pneumatics Private Limited, set foot into the industry as prime Manufacturer and Exporter of Compressor Spares and Tanks. We earned an image within the industry because of our exquisite range of products including Air Compressors, Compressor Spare Parts, Air Dryer and Reconditioned Air Compressor etc. We deal with our own brand Roteck. Our consistent efforts to provide our clients with the best in class solutions have earned us a reputable name that is associated with trust and deliverance. We make solemn efforts to stand up to the needs of the client while maintaining a steady flow of production. We take extensive care to manufacture each product with as much precision as possible and hope to change the market scenario with the superior qualities our product possesses. Our clients avail the best products along with an assurance of dedicated services throughout our association together. We have set up our organizational base in an infrastructural area of an excellent land resource. We occupy a vast industrial area, spanning over a number of departments, each erected for segregated official work. Each employee in every department is adept in his profile and works within a chain of command to facilitate an officiated flow of work that speeds up the process of manufacture. Our manufacturing division makes use of the highest quality of raw material procured from the most trusted vendor base in the industry. We manufacture our products with the help of skilled professionals and machinery that together render products of utmost impeccability. We maintain ethical business practices throughout each part of our business dealing and ensure long-standing satisfaction on behalf of our clients.